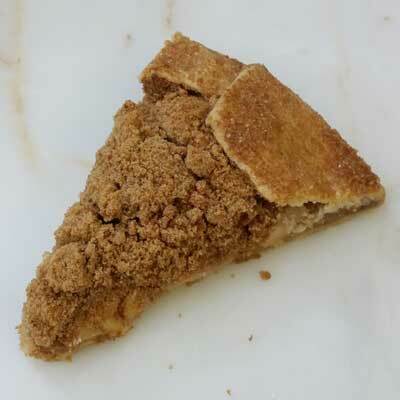 Local apples with a sweet cinnamon crumble baked into our handmade flaky pie dough. Order by the slice or a whole galette (equivalent of 8 slices). A whole galette will be shipped unsliced. Please note that baked goods are only available for pick up IN STORES. Sadly, we CANNOT SHIP baked goods.